Word of mouth is great, but let’s face it: when it comes right down to it, bringing people into your dental practice requires serious marketing effort. Dental practice marketing relies on a number of strategies. You want to bring in local traffic that is interested in exactly what your practice offers. Thanks to the internet, your marketing strategy may look vastly different than it did just a few years ago as you take advantage of search engines, organize your social media accounts, and turn your webpage into a functional marketing tool that will enable people to find your practice. Take advantage of local search traffic. 97% of customers search for local businesses online. That mean that when they need a new dentist, they’re going to be turning to the internet to find one. This is particularly true if they need a new dentist in a hurry to take care of a toothache, fix a chipped tooth, or replace a cracked filling. Your dental practice needs a well-constructed, easy-to-find website that is designed to push you to the top of the search engine rankings for dental practices in your area. If your website isn’t part of your marketing strategy, it should be! Track your reviews. 50% of customers have searched for information about a store (or, in your case, practice) while they were in it. You never know when the individual in your lobby who has their nose buried in their smart phone is doing a quick search to check out the reviews of your practice. While you can’t control what people have to say about you, make sure you know what’s being said! Address complaints and concerns through your social media pages, engage with customers to make sure they’re satisfied, and make sure to encourage customers to post positive reviews. The easier you make the posting process, the better the odds that people who are satisfied with your practice will take the time to do it. Many people trust reviews online just as much as they would trust a word-of-mouth recommendation in person. Keeping track of your reviews will also help you to improve your service to your patients, which will bring them back to you for years to come. Incorporate digital messaging into your marketing and customer communication efforts. Many patients prefer to receive email and text message communications. These messages are easier for them to fit into their busy schedules, and they can read or reply to them at their convenience, rather than needing to deal with them immediately as they would if you used the phone instead. Text messages and emails aren’t limited to appointment reminders, either. You can also use them to send out birthday messages to your customers, remind them that it’s almost time for their next cleaning, or touch base when they haven’t been into office in a while. In many cases, bringing repeat customers back into your office is even more valuable than reaching out to new ones. Keep a blog. One great way to bring in local traffic and inform others about your practice is to keep a regularly-updated blog that shares interesting facts about your practice, describes specific dental procedures, and offers all the information potential patients need before they walk into your office. Your blog is your key to personal expression. It won’t just boost your search engine rankings, though that’s one valuable benefit. It will also offer you the opportunity to show off your expertise and demonstrate to potential patients exactly what’s different about your office. Are you passionate about working with kids? Post regular blogs about teaching kids how to floss, when kids should have their first dental appointment, and how to keep kids cavity-free. Do you specialize in anxious patients? Offer tips for making dental visits less anxiety-filled. Don’t forget your social media accounts. As a dental practice, you may think that you don’t need a social media account. What are you supposed to post: tips for brushing teeth and information about the latest developments in dental floss? Actually, your social media accounts are a great way to keep in touch with your existing clients and potentially bring in new ones. 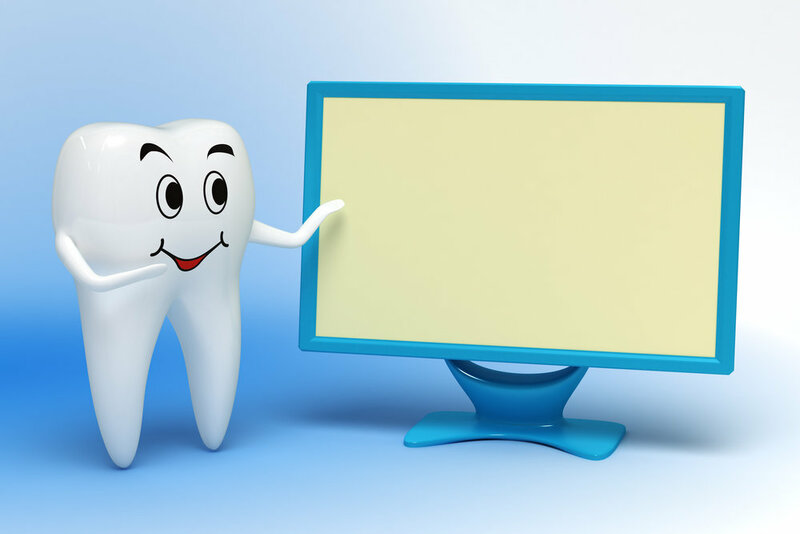 You can post about Children’s Dental Health Month, offer information during National Dental Hygiene Month, and take advantage of holidays to offer your patients information about healthier alternatives to sugary treats. Not only does your social media account offer you the opportunity to add value to the way your patients perceive your practice, the sight of your name in their newsfeed could be the reminder a patient needs to schedule that overdue cleaning! Make sure you remember the call to action. Whether you’re writing a blog post, posting on your social media accounts, or building a content page for your website, your goal is to have people contact your office to set up an appointment. The best way to do that? Include your call to action. Use direct language, make sure your patients know what you’re hoping they’ll accomplish, and give them a reason to act now instead of waiting. Your call to action is your key to turning website visitors into patients. It’s the digital age, and your dental practice is reliant on a digital marketing strategy to help carve out your place in the dental field. If you’re struggling to manage your digital marketing efforts, contact us! We’ll help you build your digital marketing plan and create a digital presence that will help bring more patients through your doors than ever before.